Thanks to our amazing team of law students in just a few days we will have updated the 20 pages of resource links in the SC Bar Disaster Resource Manual. This will make it not only easier for lawyers to respond to questions from the victims but also to provide them with the latest and most effective assistance. Many times the calls to the Disaster Legal Assistance Hotline are not about a legal issue but about access to services. This is what lawyers to best and as students you are part of this team! 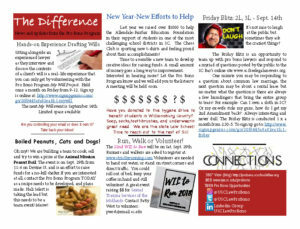 This entry was posted in Administrivia on 27 September 2018 by Pam Robinson. AALS (the Association of American Law Schools) conducted extensive research into why and when people decide to go to law school. The results are interesting and worth noting. A relative is considered the most important motivator in making the decision to go to law school and public service opportunities is a major reason for becoming a lawyer! Think back to your decision time! What were you thinking? This entry was posted in AALS Before the JD on 24 September 2018 by Pam Robinson. 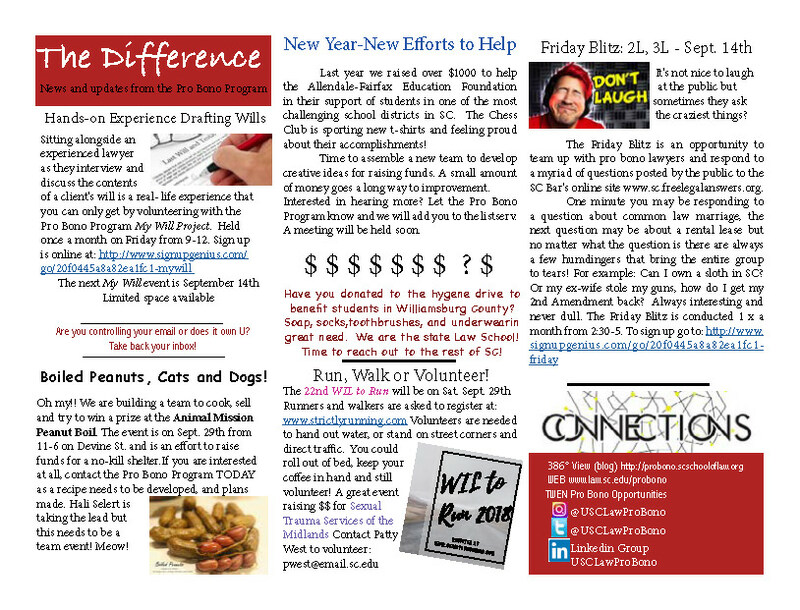 Misplaced that email with the latest Pro Bono Program Newsletter? Not a problem, here you go. 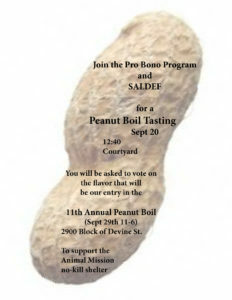 You either love boiled peanuts or hate them but it turns out that a Boiled Peanut Festival is a great way to raise money for a no-kill animal shelter! Help needed bagging and selling our boiled peanuts on Sept. 29th. The most bags sold WINS a prize. It is not about the peanuts it’s all about the winning! Help select the flavor we will submit on Sept 20th for a tasting and voting. This entry was posted in Administrivia on 10 September 2018 by Pam Robinson.